Muay Thai or Thai Kickboxing is Thailand’s National Sport. It is often referred to as the “Art of Eight Limbs” or “Science of Eight Limbs” because participants use eight “points of contact” including the kick, punch, elbow strike and knee strike. A practitioner of Muay Thai in Bangkok is called a nak muay. A foreign practitioner, on the other hand, may be called a nak muay farang or foreign boxer. 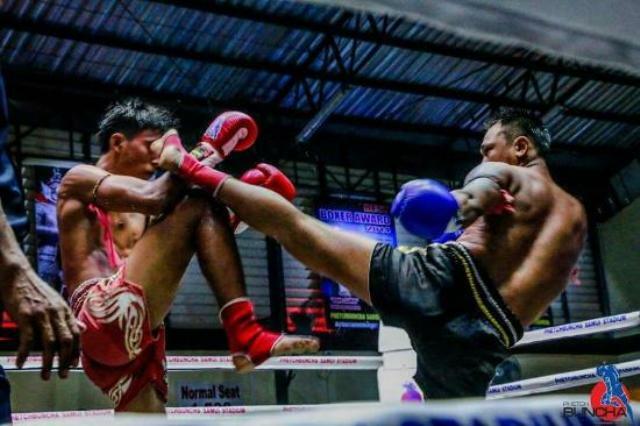 There is not a bigger sport in Thailand than the full-contact sport of Muay Thai or Thai boxing. As mixed martial arts or MMA is now gaining popularity all over the world, Muay Thai is receiving more and more attention. Athletes and martial artists from the US and UK regularly visit parts of Thailand for training in Muay Thai. The sport is also alive in the beautiful island of Phuket. Muay Thai in Phuket is drawing crowds of curious tourists as much as the beaches and dive spots. Thai Kickboxing or Muay Thai is Thailand’s national sport. It is popularly known as the “Art of Eight Limbs” because of the eight points of skin and body contact involved in the game. The points of contact include the kick, punch, elbow strike and knee strike. This sport using the “Science of Eight Limbs” has a huge following that includes not just the locals but also foreign expatriates. And it’s not just well-liked in Bangkok and other bigger cities: Muay Thai in Pattaya is also a favorite pastime of many.